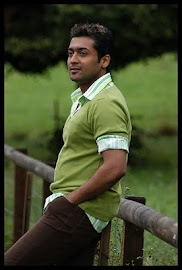 It is no secret that Surya is going in for a new look in K V Anand's Maatran. But what is news is that the actor will play a villager in his next film, which will be directed by Hari. The untitled film, sources say, will be an emotional, action entertainer on the likes of Hari's earlier films. But unlike their previous collaborations which were either totally set in the city (Aaru) or had a part-village , part-city setting (Vel and Singam), this one will be set totally in a village milieu in southern Tamil Nadu to be more specific. The director, who is currently scripting the film, says that audiences will get to see a new, power-packed Surya in the film.